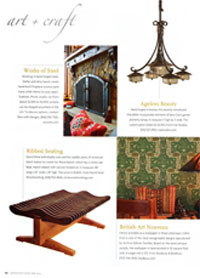 Coe Studios was chosen for an editorial in Arts and Crafts magazine. Our latest chandelier, featured below, appears in the Art + Craft section of the latest edition. Click on the image for a preview. Click here for a closer view of the chandelier. The Coe Studios Metalsmithing shop has been very busy lately with an array of creative pieces. Please subscribe to our facebook page for the latest projects. 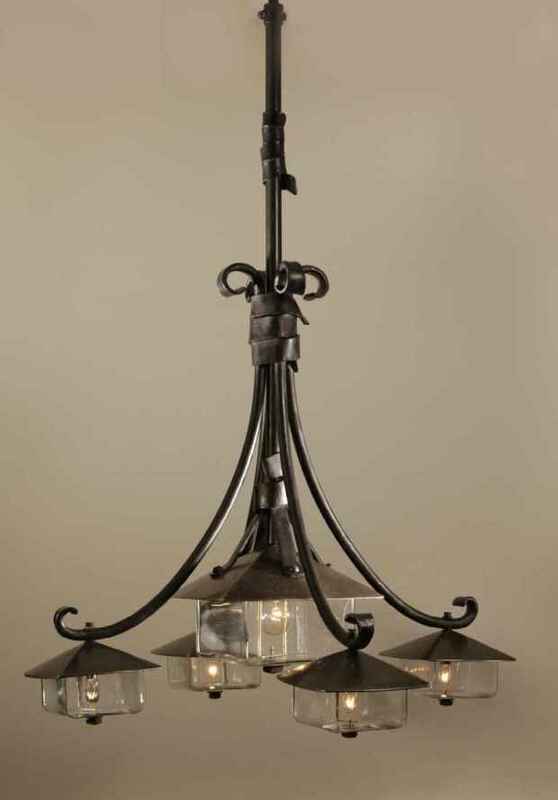 Pictured at left is a hand forged solid bronze chandelier, incorporating elements of our GL and EN lamps. It measures 5 feet high by 3 feet wide and gives a truly unique form of illumination. Click here for a closer view of the chandelier. We are pleased to re-offer a discount of 15% on GL series orders (including the new Tilden GL) received by April 26th (the discount also applies to our signature wooden posts and bronze wall brackets). Thank you for your support, and be sure give us a call to take advantage of the discount before it expires! Coe Studios celebrates its 25th anniversary! Jerry Coe, pictured at left, founded his shop in Berkeley, CA in 1984. Soon thereafter, a client requested handmade lighting for his garden. The Coe Studios Garden Lamp was born, the lighting line grew over the years and continues to grow today. We are proud to have provided the very best in quality and craftsmanship along with top-notch customer service. Since day one, all of our lamps have carried a lifetime guarantee. We are excited to continue providing the highest level of dedication to our customers into the future. Thank you for your support!! 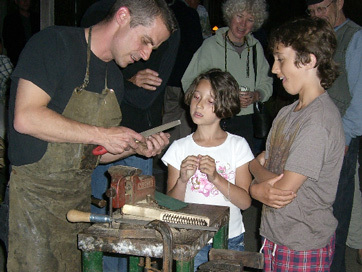 On September 1, Jerry was blacksmithing at illumigarden for their monthly Artwalk. 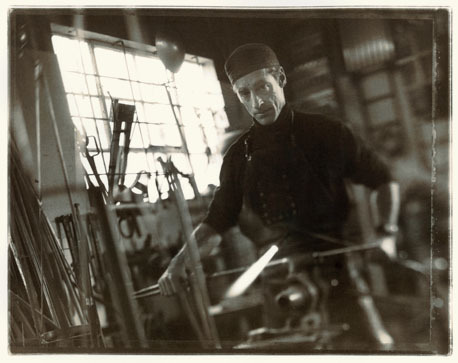 Pictured at left is Kurt Weimer, blacksmith extraordinaire, a member of the Coe Studios team. People came by to meet the artists, watch them at work, and have a glass of wine. The event and Jerry’s beautiful Dragon Gates were the subject of Marin Magazine’s blog on Home and Design. 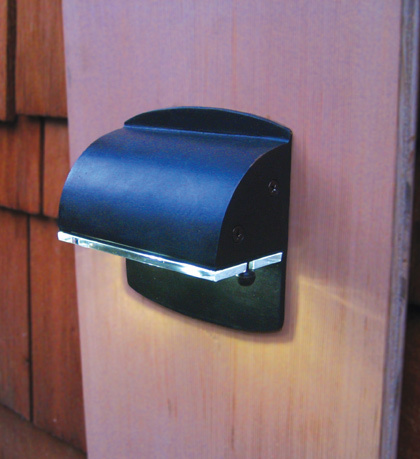 Introducing the super-solid Coe Studios Footlight with 1 12V LED bulb or 2 120V cool white LEDs. We have been experimenting with LEDs since their introduction. However, a good 120V option has been hard to nail down. Recently we found a bayonet bulb with a small form factor, but it just wasn’t bright enough. In order to get good output and coverage, we added a second socket to our Solid Bronze Footlight. Now, the light is even and cool in our newest lamp: Model FL-LED. The bulbs emit no heat and last 50,000 hours. This is a great option for customers who never want to change a bulb again or are concerned about the heat of the lamp. These bulbs look especially nice with the new glass lenses, available in clear or frosted. The frosted lens gives an “icy fuzz” quality to the light. Please contact us for more details. Coe Studios is now on Facebook. Add us as a friend to see installation photos and learn about events we are involved with. San Francisco Chronicle featured the recreation of a Bay Area treasure, a “gravity car”. Coe Studios Metalsmith created this functional piece of history from the ground up. Click here to read Jerry’s story on how he did it! Coe Studios was featured on the front cover of K+BB and was a 2008 top pick of Home Companion Magazine.